I wrote the “Yes” case (sneak peak at an extract, here). The co-author, who wrote the “No” case, is Prof. Ian Lowe, President of the Australian Conservation Foundation. Read on, to find out what it’s all about. Ian and I are doing a fair bit of media on the book, so listen out for us on radio and look out on TV (we hope). I understand the book will also be reviewed in a couple of the major Australian newspapers. I’ll update the links to this media here, as and when it’s available. Join the debate – Pantera Press releases its first of two non-fiction titles from the Why vs Why™ series debating the Nuclear Power solution, on 3 May. The unique and friendly format of Pantera Press’s Why vs Why™ series of debate books focuses on one contentious issue written by two rival expert advocates, with no editorial or other publisher bias. The first of two books in this series being launched simultaneously (the other title debates the issues surrounding gay marriage) imparts an in-depth exploration of the opposing sides of the nuclear power debate. Contrasting opinions are offered by two Australian environmental scientists, Prof. Barry W. Brook and Prof. Ian Lowe AO, respected internationally as leaders in their fields. The two positions are presented in an easy to read 2-books-in-1 format. Both authors discuss the seven key reasons why we should/should not have nuclear power in Australia and further investigate the evidence behind each of these reasons through their seven chapters. Importantly, this book leaves no issue hanging. On top of the seven key arguments, each author has written a rebuttal to their opponent’s argument. “In a pocket-sized, easy-to-digest format, the Why vs Why™ series brings well-informed and credible experts together to present their cases for and against the hot topics of today, debating issues that have no easy answers across environmental, community, social, political spheres,” says John Green, co-founder, Pantera Press. In the wake of US President Barack Obama’s decision early in 2010 to allocate $8.3 billion in federal loans toward the construction of new nuclear power plants it is clear which side of the nuclear power debate the US political giant sits on. “It is a subject that attracts intense debate from senior environmental scientists through to the average person on the street, the outcome of decisions made today convey serious unchangeable impact on future generations,” says Alison Green, co-founder Pantera Press. In Why vs Why™ Nuclear Power Australian environmental expert Prof. Ian Lowe AO notes how he changed from being cautiously in favour of nuclear power and doing research supporting it as a young physicist to being solidly against it. Ian argues that nuclear waste issues have not been resolved and nuclear power would require massive development budgets, so there are more appropriate solutions. Ian Lowe has been a referee for the Intergovernmental Panel on Climate change and attended the Geneva, Kyoto and Copenhagen conferences of the Framework Convention on Climate Change. Prof. Barry W. Brook presents a focused and thought-provoking argument for nuclear power. A life-time dedicated to the subject of climate change, Brook sees nuclear power as the only realistic answer to the need for a developing world to power itself and to deal with atmospheric CO2 levels. He challenges other green energies; citing the many technical challenges to harnessing renewable energy sources, declaring them as grossly uneconomic, unreliable, and presenting geographical and storage issues. He concludes that nuclear power is the most pragmatic solution within the real-world, physical, social and economic constraints. 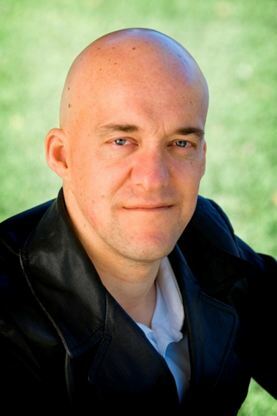 Barry W. Brook runs a popular climate science and energy options blog at http://bravenewclimate.com, his focus is on statistical modelling, systems analysis for sustainable energy and synergies between human impacts on the biosphere. Launched in 2010, Pantera Press is a family business, teaming passion and love for literature and debate with solid business expertise, the backing of major distributor Simon & Schuster and support from a growing stable of some of Australia’s finest publishing industry talents. With its mantra of good books doing good things™ Pantera Press has developed innovative financial and philanthropic models. These mean authors have more support than ever for their writing, and philanthropic programs, such as The Smith Family’s Lets Read initiative, will receive a financial boost to help combat illiteracy at the earliest stages. Since 2008, Pantera Press has also sponsored the coveted Walkley Awards for excellence in newspaper feature writing. If climate change is the “inconvenient truth” facing our fossil fuel dependent society, then advanced nuclear power is the inconvenient solution staring right back at the environmental movement. Since the 1970s, when the Sierra Club and other prominent environmental groups switched from being active supporters to trenchant detractors, nuclear power has fought an ongoing battle to present itself as a clean, safe and sustainable energy source. Today, a mix of myths and old half-truths continue to constrain people’s thinking on nuclear power. Some of the most regularly raised are that uranium supplies will run out, nuclear accidents are likely, long-lived radioactive waste will be with us for 100,000 years, large amounts of CO2 are produced over the nuclear cycle, it’s too slow and costly, and that a build out of nuclear power will increase the risk of weapons proliferation. Yet, the surprising reality is that most of these perceived problems with nuclear power were simply not true, and none of the remaining real concerns need apply in the future. In the “Yes” case for Why vs Why: Nuclear Power, Professor Brook explains the real-world scientific and economic evidence needed to understand this most misunderstood of energy sources. He describes technical advances that can enable ‘nuclear waste’ to be totally consumed, to produce cheap electricity with no long-lived legacy. He shows that there is enough minable nuclear fuel (uranium and thorium) to power the entire world for hundreds of millennia. He describes recent efforts in Asia to bring down costs of construction and build times, and yet further enhance safety. And so on. Let’s be clear: the only reason for rational people to take seriously the idea of nuclear power in Australia is the widespread recognition that climate change is a serious threat to the future of civilisation. Ten years ago, nuclear power was seen almost universally as a failed technology. Originally touted as cheap, clean and safe, nuclear power had by then been recognised as expensive, dirty and dangerous. If nuclear power were the only effective way of slowing climate change, I might support going down the nuclear path. We would have to put a huge effort into managing nuclear waste, a problem that is, at least in principle, capable of a technical solution. I would also remain desperately worried about the proliferation of nuclear weapons, a social and political problem apparently without any prospect of solution. Fortunately, we do not face that terrible dilemma. There are other, much better ways of slowing our assault on the Earth’s climate system. I see the nuclear argument as a dangerous distraction, which could direct resources and technical capacity away from more sensible responses. 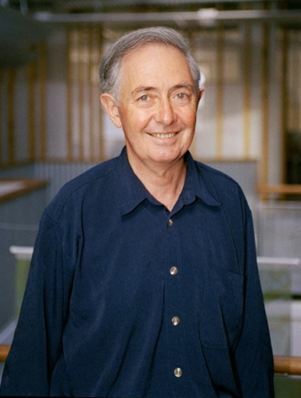 Ian’s been recognised as a leading climate change scientist for decades. He’s President of the Australian Conservation Foundation, emeritus professor of science, technology and society at Griffith University, and an adjunct professor at Flinders and Sunshine Coast Universities. He’s authored or co-authored 20 books, more than 50 book chapters and over 500 other publications or conference papers, with countless contributions to newspapers and other media. He’s been a referee for the Inter-Governmental Panel on Climate Change, and attended the Geneva, Kyoto and Copenhagen conferences of the Framework Convention on Climate Change. Prof. Lowe has received a number of distinguished awards for his services to science, technology and environmental studies (including being made an Officer of the Order of Australia, awarded the Centenary Medal, the Eureka Prize and named Humanist of the Year). His contributions have also been recognised by the Prime Minister’s Environment Award for Outstanding Individual Achievement and The Queensland Premier’s Millennium Award for Excellence in Science. He is a fellow of the Australian Academy of Technological Sciences and Engineering. In partnership with its major book distributor Simon & Schuster Australia, Pantera Press is a new independent Australian publishing force. Pantera Press is focused on discovering and nurturing new writing talent… writers who create well‐written, riveting reads, in quality popular nonfiction and fiction. Pantera Press’s first list is being released in 2010, launching with four new titles, two fiction and two non-fiction in May/June 2010 and more to come later in the year. Pantera Press aims to publish books that readers will rave about. Their initial focus is on discovering and nurturing new writing talent… writers who create well-written, riveting reads with broad appeal. 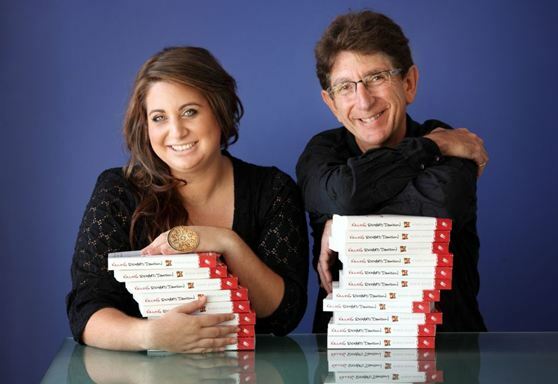 Their core goal is to become “a great home for the next generation of Australia’s best-loved authors”. As well as launching new authors, with its symbiotic mix of business and philanthropic objectives called good books doing good things™, Pantera Press will use some of its profits to promote the joys of writing and reading, foster debate of important ideas and issues, and help close the literacy gap. Pantera Press already sponsors the prestigious Walkley Awards and is developing a partnership with Let’s Read, a literacy program for pre-school children and their families being implemented around Australia, including indigenous communities, by The Smith Family. Pantera Press’s readers will not only get great stories and insights but they’ll feel good about it. Pantera Press’s fresh approach has already won early positive media profile and support with articles and interviews in The Sydney Morning Herald, The Australian, ABC Radio 702, and trade magazine Bookseller + Publisher. Who is behind Pantera Press? Pantera Press is a family business, founded by the Sydney-based Green family. Their kitchen table is their board room. What they passionately debate around that table is an unusual mix of… business, the arts and philanthropy… things that have driven their family for years. Alison Green, with a background in Psychology, Business Strategy & Marketing, has been working full-time running Pantera Press for the last two years. It was Alison’s creative vision that spotted how the Green family’s trio of passions, business, the arts & philanthropy, could be brought together so uniquely and it was Alison who excited the whole family into starting Pantera Press. John Green (Alison’s father) has 35 years in business, with some of Australia’s biggest companies as a company director, investment banker and lawyer. (For many years, John was also on the board of publisher, UNSW Press. In fact, in the 1970s, he helped saved the Press from being closed down.) John is also a well-known business writer, with his pieces having appeared in publications such as Business Spectator, The Australian, The Australian Financial Review and Company Director. He couldn’t do better than that lame list of tired reasons? If this is all he can come up with you can stick a fork in him right now: he’s done. When I stated reading this item on the front page I thought maybe we would see a few well considered objections to nuclear power, that would lead to a new dimension in the discussion. But most of these are the same old weak arguments that have been dismissed over and over. And the baseload argument is so transparently stupid I surprised anyone would try and float it in a situation like this. A fish in a barrel of his own making. The most unlikely pairing since Timothy Leary played piano accompaniment to G Gordon Liddy singing the Star Spangled Banner..
Let’s be clear: the only reason for rational people to take seriously the idea of nuclear power in Australia is the widespread recognition that climate change is a serious threat to the future of civilisation. This is an utterly shocking claim for someone with an environmental background to advance. He blows his case in the first line … Simply astonishing! So Ian is arguing that rational people who care about the threat to civilization should seriously consider nuclear power? You can lead a horse to water .. I found the excerpt at http://www.panterapress.com.au/shop/media/download/62/Excerpt%20Why%20vs%20Why%20Nuclear%20Power%20YES.pdf , not 32. I look forward to having a look at the book. Also, I look forward to hearing from Barry at the book launch event… but not so much listening to the same old tired stuff from Lowe. Is there a preview excerpt from the “No” section available? Thanks Luke. I should clarify that I requested — and Ian Lowe agreed — that the debate would NOT consist of us both delivering polemical speeches and then taking Q&A from the audience. It will, instead, follow the Socratic method, where I shall state a relevant fact/soundbite, and Ian will have the opportunity to question me on it. And vice versa, through 5 or so statements on either side. Much more satisfying, in my view. It follows the method I outlined here. The preview of the “No” section is also available on the whyvswhy.com website, here. You can now read my (online) counter-rebuttal to Ian Lowe’s rebuttal, here in full (we were limited to 500 words for these). Ian’s is here. The chapter-by-chapter citations are now also available on the Why vs Why website. I am posting this here because a constant refrain from the antinuclear side is that breeders are an imaginary and untried/failed technology. The Japan Atomic Energy Agency said Friday it will restart the prototype fast-breeder reactor Monju on May 6 after more than 14 years of suspension, after getting the green light Wednesday from local governments. Ian Lowe states rhat Alvin Weinberg was not a fan of the LMFBR, which is true, but that’s because he prefered the thorium breeding MSR, or LFTR as it is now known. Yes Finrod, I saw that Ian left out that little ‘inconvenient’ detail. (for those who favour LFTRs as their Gen IV tech of choice, they’ll be happy to note that I talk equally of IFRs and LFTRs when discussing Gen IV in the book, though a fair amount of my focus is on Gen II/III). Yes Finrod, I saw that Ian left out that little ‘inconvenient’ detail. Q: In your book The First Nuclear Era: The Life and Times of a Technological Fixer, you come across as a man of integrity. You have spoken out on your beliefs, even when your views were, as we say today, politically incorrect. Should researchers at government laboratories speak out truthfully about their findings and concerns even if their careers could be jeopardized? Weinberg: Karl Morgan, once director of ORNL’s Health Physics Division, disagreed with the way reactor development was going. He thought the thorium cycle (breeding uranium-233 in a reactor by neutron bombardment of thorium) should be pursued because the waste disposal problem was simpler to handle. We had some difficult times there. The problem that Laboratory management always faced was that our survival depended on our ability to get money, mostly from the Atomic Energy Commission’s Reactor Division under Milton Shaw. Karl Morgan’s dissenting views on reactors placed ORNL in an awkward position, but Karl’s career didn’t suffer. He’s going strong even though he’s close to 90. Milton Shaw had a singleness of purpose. In many ways I admired him, and in many ways he drove me nutty. He had a single-minded commitment to do what he was told to do, which was to get the Clinch River Breeder Reactor built. My views were different from his. I think the Commission decided that my views were out of touch with the way the nuclear industry was actually going. Q: Which views were these? Weinberg: I wasn’t a great believer in the liquid metal fast breeder reactor (which was designed to breed plutonium using neutrons from the plutonium fuel). I pushed for the molten salt breeder reactor, which used the thorium cycle. Also, I was outspoken on how much effort should go into developing safety systems for reactors. I can’t believe it was possible for Lowe to read this and not understand that he was taking the quote out of context and presenting it in a misleading manner. With huge respect to Ian Lowe, a scientist of huge standing and integrity, if he simply rehashes his essay from Quarterly Essay, Reaction Time, then he’s wasting his time, that was full of irrelevant straw men, I wanted my $15 back after that one. wilful, correct, it is Reaction Time redux. There is very little different between the two pieces. I’m astonished that the closing paragraph of Lowe’s rebuttal to Brook is simply “Nuclear energy is too expensive, too dangerous, too slow and makes too little difference to be a sensible response to climate change”. You know, Ian, if you completely ignore everything that Barry has written, and you’re simply determined to blindly bring out the same old overused catchphrase sound bite which has just been thoroughly and comprehensively contradicted in Barry’s side of the book, that’s not really what most people would consider a meaningful rebuttal. Now that’s hardly fair. What else could Ian have done? What else could anyone possibly have done under the circumstances? Come up with a valid rebuttal? Now that would be remarkable. Yeah, I felt that Luke. My rebuttal to his rebuttal, available on the whyvshwy.com website, therefore reiterated a few of the key real-world cost data, as these seemed the most ‘relevant’ and are facts, not opinions. So, is anyone else in the BNC reader community going to be attending this book launch event in Melbourne? Nuclear power is one of those topics that is guaranteed to get people fired up (pardon the pun). So we assembled two of the finest experts, one of whom is for, and the other against, to battle it out for you on the radio. Ian Lowe AO, presented the other side of things; he’s the President of the Australian Conservation Foundation and a Professor in science, technology and society at Griffith University. Just listened to the 702 talk. It was good to listen to a polite, well moderated, non-rancorous discussion. However, I thought you gave Ian a few too many free passes. One example I recall was the question on can renewables do the job, to which you replied, “Well, yes, if you make heroic assumptions”. The take away message is, if you’re serious about it (ie. make the heroic assumptions), then renewables can do the job, and you don’t need nuclear. This felt very familiar. Scientists are very reluctant to make absolute statements, and very properly apply suitable qualifiers. And I have seen this exploited again and again, by creationists, by global warming skeptics, conspiracy theorists, etc. I thought you left yourself open to this several times. I realize you were trying to keep the discussion pretty cool, but I think its important to make some of these statements quite directly. “No, renewables can’t do the job. They can’t be scaled with adequate storage to replace coal and gas” might be an example of such a direct, but still correct statement. That is, instead of giving a qualified statement, give an assertion with a reason. I was appalled to hear Ian at the end say breeder reactors could blow up under some conditions. But the discussion finished abruptly there without a chance for you to respond. Where did Ian get that from? What did you say to him about that after you went off air? I was appalled to hear Ian at the end say breeder reactors could blow up under some conditions. I wondered at that too. I assumed Lowe was putting spin on the possibility of a criticality accident. Hmm. Or he may just have been misrepresenting the idea of a sodium fore. Ian was talking about reactivity spikes caused by the potential positive void coefficients of a boiling sodium coolant. However, the negative feedbacks of the metal fuel are much more powerful, so in practice, this could not happen in an IFR – as the EBR-II proved in two crucial demonstrations in 1986. John, believe it or not, I do think it is possible for renewables to replace fossil fuels, but not only are the assumptions required ‘heroic’, they are also grossly uneconomic. And the system that results, though potentially ‘workable’, is still less reliable than the one we have. But point taken, It’s always a fine balance on radio. Barry, I agree that its possible, in the sense of not being provably impossible. But that gets heard by a lay audience as being possible in the sense of we could do it next tuesday. Thats why I think clear declarative language needs to be used, rather than the language of cautious qualification. Mind you, I fully appreciate just how hard it is to balance everything just so in live discussion. I listened to 3 of the ABC interviews today and was also present at the debate at Readings. Barry and Ian obviously like and respect each other and the result was a very civilized, scientific interchange. At the end of the day I was left with the distinct impression that Ian Lowe is finding himself reluctantly persuaded by Barry’s point of view and is teetering on the brink of accepting the necessity of nuclear power to address climate change. Is the renewables system you have in mind ‘workable’ for India? Well, technically yes, but it really depends how much of India you’re to cover with wind turbines, solar mirrors and storage capacity – and how much the Indians are willing to pay for it. But the bottom line for India is absolutely clear – if it costs more than nuclear power will (and it may well be orders of magnitude more expense for a full system), it ain’t gonna happen. Not by a long shot. And to the extent it does happen Barry, it will occur painfully slowly, meaning that existing systems which at the margins are viable will have a persistent advantage. Most people have no problem with the principle of “you get what you pay for”. If you can show greater benefit, most people will pay a premium for a good or service. The premium and the marginal good have to be closely related however. Few will pay 4-5 times the price for 10% more benefit. I was pleased that Ian Lowe was basically in a position where he had to agree with our rebuttals of his claim that advanced reactors such as IFRs require handling and transport of proliferation-sensitive fissile material. But I wouldn’t be surprised if next week, with a different audience, he keeps on saying it. On page 55 of Why vs Why Mr Lowe states that 3.8 million wind mills would require a land footprint of “50 square kilometres”. Does that mean Austrailians can put 76,000 wind mills in each square kilometres? I’m from the US. Maybe this is a metric thing. Is a kilometre equal 1,000 meters? What am I missing? Martin, he means that if you took all of the wind turbine tower bases, and stacked them together like sardines, you could pack them into a 50 km2 area. Just like all of the world’s population of people could be stacked, cheek-by-jowl, within the Isle of Man. What are you missing? Nothing – it’s just that you were trying to think. In a country as richly endowed with coal and uranium reserves as Australia, the debate over whether or not to introduce nuclear power is always going to be heated. Which is why, for those who pride themselves on arguing the facts rather than on pure emotion, a new ‘double sided’ book from Pantera Press might come in handy – flip the book around one way and read the ‘no’ case from Ian Lowe, then flip it over again to read the ‘yes’ case from fellow environmental scientist Barry Brook. Pantera, a not-for-profit publisher set up by business writer and former investment banker John M Green to generate philanthropic funds through book sales, gives each author 50 pages to outline seven key points to support their argument. In this first instalment, Brook and Lowe debate whether nuclear power offers a viable solution to reducing Australia’s carbon emissions and filling the gap after we run out of fossil fuels. Professor Barry Brook, chair of climate change at the University of Adelaide’s Environment Institute, sets out to argue that nuclear power presents a safe, clean and efficient alternative to coal – and one that he believes far outperforms any form of renewable energy. He starts by dismissing what he calls a “mix of myths and half-truths” about nuclear power, which is an important step. After all, in public imagination nuclear power is inexorably associated with the devastation of Chernobyl, weapons programs and bulbous smokestacks spewing thick exhaust into the sky (not to mention, of course, countless comic book supervillans who’ve mutated and turned evil after exposure to radioactive waste). According to Brook, experience and technological developments have phased out the design faults and flawed practices that led to Chernobyl in 1986 and the partial meltdown of a nuclear plant at Three Mile Island in the US in 1979. “Comparing the flawed Chernobyl design to today’s reactors is like saying modern aviation is too dangerous because the Hindenburg airship exploded in 1937,” he writes. Brook argues that modern nuclear facilities rely on natural processes and the laws of physics to prevent massive, uncontrolled nuclear reactions, whereas older plants relied on human-operated systems (like hitting a safety button) to prevent disasters. He also argues that radioactive waste, which was once required to be buried in the ground and babysat for millennia, can now be reused in other forms of power generation and degraded to a point where it only needs to be managed for 300 years. But safety concerns aside, Brook’s central point is that nuclear power offers a level of efficiency, economy and longevity unmatched by renewable energy sources. Only nuclear power can provide reliable electricity around the clock, he writes, because renewables cannot supply power on demand – only when the sun shines on your roof’s solar panels or there’s a strong enough breeze to spin the turbines at your local wind farm. He adds that renewable energy projects tend to require huge infrastructure investments and geographical areas, which will become a bigger problem as the world’s population grows. The resources required for nuclear power, on the other hand, are virtually unlimited – Brook suggests that just a small clump of uranium can provide enough energy to service a single person throughout their entire lifetime. Lowe argues that nuclear power has been justly maligned as “expensive, dirty and dangerous,” and the only reason that sensible people have taken up the nuclear cause is because of the broad recognition of climate change as a looming global catastrophe. But, he says, nuclear power will not meet the challenge of lowering carbon emissions and mitigating climate change simply because the infrastructure required cannot be built in time – a government taskforce reported in 2006 that it would take 10 to 15 years to build a nuclear power station (Lowe suggests it would take 15 to 30 years for this station to begin to be fully operational and repay the energy consumed in the process of its construction). If Lowe is correct in his analysis, then his argument does much to demonstrate why nuclear power may be an unnecessary development for Australia. He claims that “serious studies in Australia have concluded that the nation could get all its electricity from a mix of renewables” and points out that Iceland, Norway and New Zealand get “all or nearly all of their electricity from renewables, mainly hydro”. But this argument is successful mostly because it deals with quite a separate issue to Brook’s piece. Implicit in Lowe’s argument is an understanding that we’re in this situation because of our ongoing over-consumption of energy. As his point on baseload power demonstrates, Lowe clearly doesn’t believe we need to produce (nor consume) power at the current, apparently inflated, rate. Brook’s argument, on the other hand, is based on the assumption that Australia needs to maintain power generation at the current rate – and at an even higher rate in the future. So while nuclear power is clearly the ball in this match, Lowe and Brook are playing slightly different games. Of course, until Australia and the world decide on a coherent approach towards global warming and adopt change, there remains plenty of time for questions and debate. Because for now, it seems, the only thing changing is the climate. Martin — a square kilometre = 1000m*1000m i.e. 1 million square metres. So if my maths is right, he is allowing about 13.1 square metres per turbine or a platform in the shape of a square with roghly 3.6m sides. I finally got around to listening to the debate. The moderator mentioned at the start that Ian Lowe also has a blog, but I can’t find it. May I have a link, please? Robert, as far as I’m aware, Ian Lowe doesn’t run a blog. I’ve certainly never encountered it, and a google search turns up nothing.